Sometimes we don’t know exactly what we want in our lives and actually, it is the hardest thing to really know what we want in our lives. Our deepest desire is often hidden deep within us, so it is hard to articulate. It is hard to be aware of what I really want in my life. We thought we wanted this and we really worked hard for it and we even prayed about it, but when we actually get there, we realize that that’s not really what I wanted. That’s not really what I want. I mean, before we want that so much and then we prayed for it and the strong desire to have it and when once you have it you realize that that’s not really what you wanted, so it just really hard to know what I want in my life. When I talk to a lot of young people. So what do you want in your life? I’m not sure. I’m not really. I don’t know what I want so we can identify with Saint Paul what Saint Paul said in today’s scripture passage for we do not know how to pray as we ought. This is Saint Paul talking about we don’t know what we ought to pray for. What is prayer? Prayer is pouring out your deepest desire to God. That’s what prayer is, isn’t it? And when you don’t know your deepest desire, even prayer becomes very difficult. We don’t even know what we pray for. In that sense, I realized and knowing the will of God is the most difficult thing to do, we talk about the will of God all the time, but really knowing the will of God for me, for us is the most difficult thing to do. I mean, I believe that the will of God is what’s best for you, isn’t it? God doesn’t want you to suffer the will of God is God’s desire to be, to give you the best. That’s what will of God is, but it is really hard to know what the will of God is. If you know the will of God, that can be the best thing that can ever happen to your life. If you really know the will of God for you because God’s will for you is perfect and flawless. If you understand the will of God for you, you will be the happiest person in the world. God wants the best for you and God wants to give you what’s just right for you. Once Jesus said this about prayer, is there anyone among you who if your child asks for bread, will give a stone? Or if the child asks for fish, will give a snake? If you then who are evil know how to give good gifts to your children? How much more will your heavenly Father give good things to those who ask him. God will give good things to those who ask him. Same passage, but it is expressed differently in Luke Gospel, so they talk about the same thing, but you know a little bit of a different tone and as a. When you look at Luke, this is how Luke described that. Is there anyone among you who if your child asks for a fish, will give a snake instead of fish? What if the child asks for an egg will give him a scorpion? If you then who are evil know how to give good gifts to your children, how much more will the heavenly Father give the holy spirit to those who ask him? One Matthew says, what is good for you? Good things that God gives. And then Luke says, God gives the Holy Spirit to you. God’s will for you is to give what is the best for you. And yet it is so difficult to know what God’s will for me is. Hey, what’s difficult? Even for Saint Paul, it was difficult for him to know the will of God too. St Paul gives us this wonderful news. It is a spiritual wisdom he discovered. Matthew said, God will give what is good to those who ask him, but Luke said God would give the Holy Spirit to those who ask him. In this two passage, we get a clue what is good for us and the Holy Spirit and what is good for us, his Holy Spirit. In other words, what is good for us God will reveal to us through the Holy Spirit. We don’t know exactly what we want, what is best for us, but through the Holy Spirit, we understand what is best for us. Even Saint Paul did not know what is God’s will for him, but through the Holy Spirit, only through the Holy Spirit, he was able to see what was best for him, what the will of God for him was. This is what Saint Paul says. Likewise, the Spirit helps us in our weaknesses for we do not know how to pray as we ought, but the very spirit intercedes with sighs too deep for words and God who searches the heart, knows what is the mind of the spirit because the Spirit intercedes for the saints according to the will of God, according to the will of God. We don’t know what the will of God is, but the Holy Spirit will intercede for you according to the will of God. The spirit knows what is the will of God for us. I said that our true desires deeply are hidden within us and sometimes we don’t know. 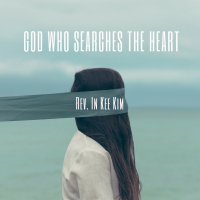 We are not conscious of it, but the Holy Spirit searches through the heart and knows what we truly desire and intercedes for us according to the will of God. Interceding means speaking to God on behalf of us for our favour. The spirit searches our desire and let us know and let God know. Today’s the Pentecost, on Pentecost we Christians believe that celebrate the coming of the Holy Spirit. You are not alone. You have the spirit with you. You’re not an orphan. Jesus Christ gave us the spirit after he left the earth and that spirit, guides you, leads you, always empowers you, encourages you. You all have the spirit within you. This is what Jesus said and I’ll ask the father, and he will give you another helper. That’s a spirit to be with you forever. Even the spirit of truth whom the world cannot receive because it neither sees him nor knows him. You know him, for he dwells with you and we’ll be in you. The spirit dwells with you and his spirit is in you. We don’t have to figure out everything about life on our own. The spirit helps us and guides us according to the will of God. You cannot figure out everything on your own because life is too big to figure out on your own, so every day, be mindful of the spirit within you, be in touch with the spirit who dwells within you, and then you will come to understand what you truly desire. Otherwise, you will just follow what other people do. You will just live a life that is given to you. You will pursue what other people pursue other people pursue. You will think that that’s the best life. Sometimes we live our life, not our own life. We live the life that other people want us to live. You can’t do that. You have to live your own life, not other what other people want from you, but to really know what I want in life, we have to be in. We have to be in touch with our deepest desire and then we cannot really get there by ourselves, but the spirit guides us and leads us and the searches our heart, and lets us know what is deeply in that heart, in your heart and what you truly do desire for your life. That’s what spirit does for us. The spirit knows how much you suffer, and then Paul says, Spirit suffers more than you. He says with a size too deep for words he prays for you. The Spirit prays for you and the Spirit intercedes for you with sighs, too deep for words. So every moment I try to be in touch with the spirit, sometimes I just get influenced by my emotion and all that, but I tried to go back to the spirit that is within me and being touched with that spirit and that spirit, I believe that will guide me and guide you. You know what the result is? The result is this. We know that all things work together for good, for those who love God, who are called according to his purpose. This is not an empty promise. This is not just positive thinking or wishful thinking. The spirit knows what is best for you and it works within you and guides you according to God’s will for you. When we walk in the spirit, we can have confidence. When you’re in doubt, sit down and be in touch with the spirit. You will know where to go. When you’re sad and angry, sit down and be in touch with the spirit. The spirit will calm you and spiritual will touch you with its gentle hands. When you make decisions, don’t make just decisions by your emotion, sit down and be in touch with the spirit and sees how the spirit guides you and leads you. The spirit will open the door for you and you follow that. That’s the best thing that you can ever do. You may not know God’s will for you, but spirit knows God’s will for you. When the spirit is with us, not only we have confidence, we have joy, we will be filled with joy. Out of our belly, rivers of living water will follow day by day. I hope that all of us be in touch with the spirit. We are spiritual beings, we are not just material beings, we are spiritual beings. Spirit is with us, so trust in the guidance of the spirit day by day, and you will see how your life unravels itself. Sometimes you wonder when you’re so filled with emotion, you wonder where my life is going, but when you’re in touch with his spirit, you can see the guidance and direction. The Holy Spirit gives you. That’s the greatest gifts. That God, Jesus left with us. The spirit is with us and searches your heart. Let us sing together.